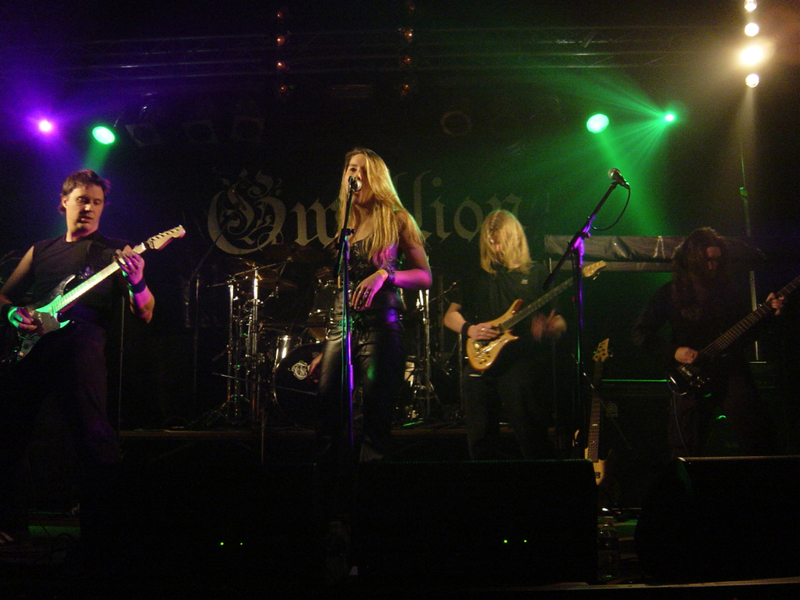 Gwyllion is a Belgian symphonic metal band that was formed in the fall of 2003 by the brothers Martijn (guitars), Wouter (drums) and Joris (keyboards) Debonnet. Born from a family with a strong musical background, and kindled with the fiery passion that is music, each of them had already played in various bands and other projects. They felt the time was right to bundle their collective experience and the idea for the band was born. The idea became reality when they joined up with renowned vocalist Annelore Vantomme (ex-Sphinx) and bass player Thomas Halsberghe, who was new to the scene, but proved his quality in no time. The newly formed band started writing and rehearsing immediately, building a strong set-list in little over 4 months and planning to start performing and to record a demo CD in the spring of 2004. The reactions from the public were already very promising. Unfortunately for the band - both on a musical and a personal level - lack of time and personal troubles forced Annelore to leave the band before the recording session started. The long and difficult search for a suitable replacement started immediately, finally resulting in the recruiting of Valerie Vanhoutte, who already had a long singing career behind her by singing, recording and performing with bands like Gyllnor, Dreamwalker and Daikiri. 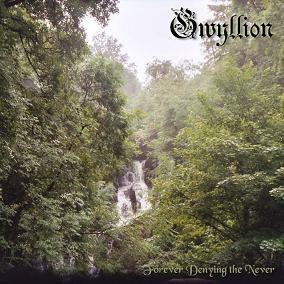 Recording of the demo CD began shortly after Valerie joined the ranks of Gwyllion, resulting in the five-track demo CD 'Forever Denying The Never', released in August 2004, which was very well received by the metal community. Gigs had to be postponed, since Valerie was pregnant with Martijn's child, but the band started writing again and the first gigs followed in March 2005, two months after the birth of Jasmien. Several other gigs followed, and the band decided to record a second release. This release had to be postponed because in the summer of 2006, after a long and difficult discussion, the band decided to part ways with Valerie, and to change the musical direction back to the original, more power-driven course. If Gwyllion wanted to take its music to the next level, a new vocalist and a second guitarist were needed. The band was thrilled to learn Annelore, the original singer of the band, was ready to take over the vocal duties again, and one of her ex-bandmates from Sphinx, Steve Deleu, offered to join her to become the new second guitar player. Both members were welcomed enthusiastically, and after a few promising rehearsals, Gwyllion started to perform again, gaining a lot of positive reactions from the crowds. The band was growing up. 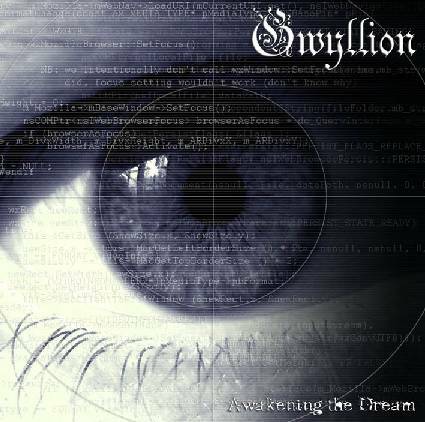 The recordings of the second release were resumed with the new line-up, and the band decided to re-record the songs of the last demo release together with three new songs, to present the new Gwyllion sound to the world. The recordings were finished in December 2006, resulting in the 'Awakening the Dream' CD that was released in March of 2007. Three of the songs on this release were offered on the Internet for streaming, again gaining a lot of positive reactions from over the world. The band decided it was time to take the next step, and so these three songs were included in a promo package, that was sent to record labels in the beginning of 2007. The band is currently negotiating with several record labels to find the best deal. Until then, they are writing new music and performing where they can - Coming soon to a place near you!